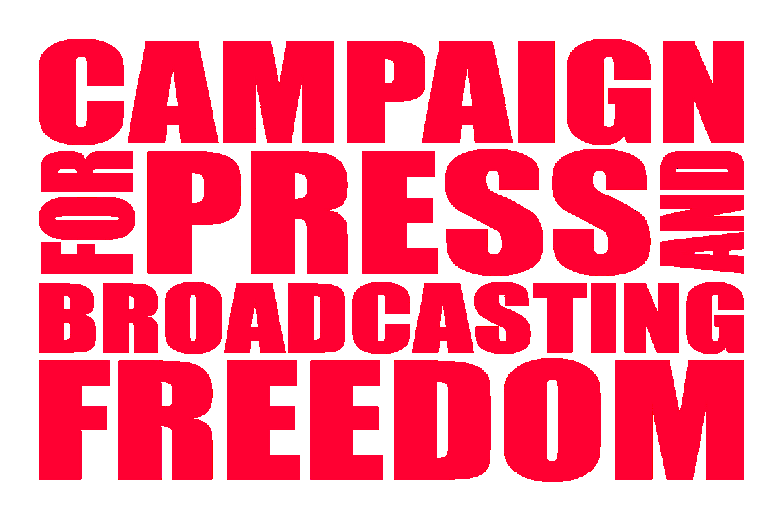 The Campaign for Press and Broadcasting Freedom today (12 May) criticised the proposals in the White Paper on the BBC as an attempt to radically undermine public service broadcasting The underlying strategy is to weaken the BBC’s ability to provide a full range of services. * It allows the BBC to contract out all its output, except news, to independent producers, weakens the BBC’s production base and the case for continued licence fee funding. * The government wants the BBC ‘to consider whether elements of subscription could provide a more sustainable funding model in the longer term.’ This has long been pressed for by those who want the BBC’s presence in the communications industry reduced. * By making Ofcom the regulator, the government is handing power to an organisation set up to promote commercial media. It may use the new power of making the BBC ‘provide distinctive content’ to limit its capacity to compete with commercial media on a range of programming. CPBF National Council member, Tom O’Malley comments: ‘Most of these proposals will please the BBC’s commercial competitors, and weaken the Corporation’s ability to enrich, educate, entertain and inform the population, across all forms of content and types of media. Launching the BBC White Paper today Whittingdale did not answer the question asked in Parliament, ‘where did the leaks come from'? The Government's news n' policy management, designed to soothe fears of even worse meddling, has deflected attention from a beachhead raid on the licence fee to fund ‘public service' content on ad-funded media: ITV, C4 and C5. There were some climbdowns in the White Paper from blatantly destructive proposals floated in advance, and campaigners like 38 Degrees are right to celebrate some people-power victories here. But the underlying thrust of the Green Paper has survived. The BBC is framed as a force that needs intensive scrutiny, invasive surgery and increased Ofcom sanctions to stop it impeding market services. By contrast, those market services are beyond reproach, and don't even appear to warrant added obligations or scrutiny when, like commercial news organisations, they are set to benefit directly from licence fee support. For the BBC there are massive threats to political independence, to jobs and working conditions, and even to the vital, diversity measures since these risk being undermined at least in part by weakening BBC in-house production and with it training, support and access policies, and routes out of precarious contract work. The big threat remains to twist all that is positive in ‘distinctiveness' into a case to diminish the popularity and reach of the BBC, but with Ofcom, via the NAO, as the activated dispatcher, rather than a Government Minister playing scheduler. Many of today's proposals will please the BBCâ€™s rivals; they advance the interests of advertisers and commercial media while weakening the Corporation.